As the popularity of biking grows in Vermont, so do networks of custom-built, singletrack trails across the state. 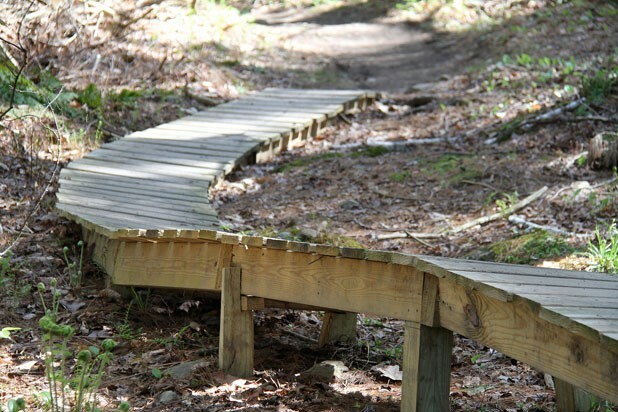 Most of these trails — also well suited for walking, hiking, running and even winter recreation — are developed and cared for by volunteer-based, nonprofit clubs such as Chittenden County’s Fellowship of the Wheel (FOTW). Since the late ’90s, FOTW has been dedicated to growing a world-class trail system, which now comprises more than 100 miles across seven towns. 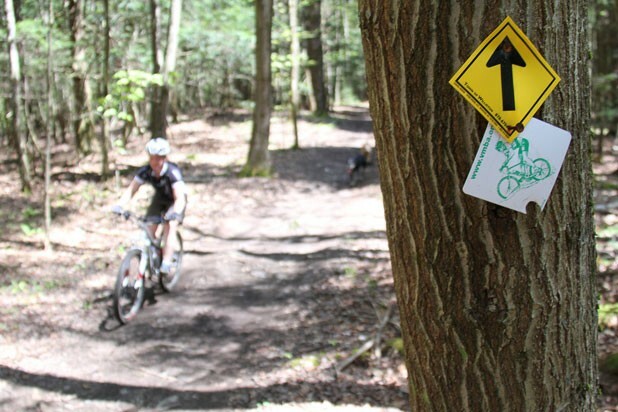 The group collaborates with private landowners, municipalities and the Vermont Mountain Bike Association to build partnerships with respect to access and trail design. FOTW organizes fundraisers, secures sponsorships and collects membership dues to help cover costs. 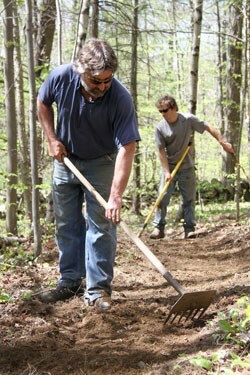 And it rallies member-volunteers to get out and literally build what they ride, one trail day at a time. 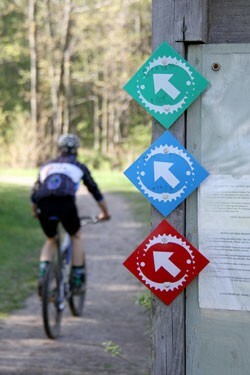 All trail users are encouraged to join the club. Membership starts at $35 per year and includes access to trail maps, special discounts at area businesses and even trail passes at partnering trail systems, such as Sleepy Hollow in Huntington, the Catamount Outdoor Center in Williston, Millstone Hill in Barre and Kingdom Trails in East Burke. But more than the number of members, it’s the spirit of volunteering that is key to FOTW’s success. “Volunteers are the lifeblood of the organization,” agrees Andy Weis, who works full time during the warmer months for FOTW. He and fellow trail coordinator Mickey Stone have been focusing recently on a scenic new section in Mud Pond, preparing for a couple of upcoming volunteer trail days. 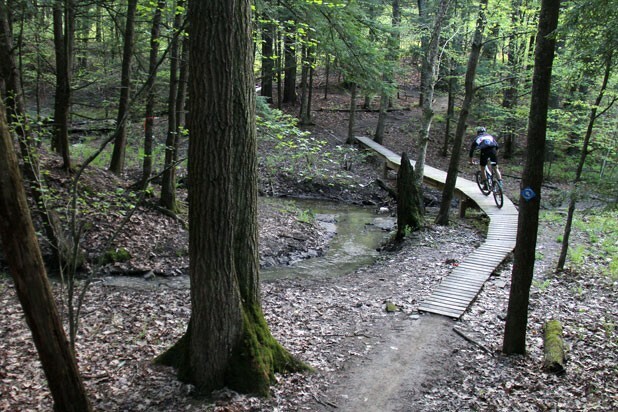 Also slated for the summer is work on the popular trail network at Sunny Hollow Natural Area in Colchester, which features great options for beginner-to-intermediate riders; and on a network in the Carse Hills area of Hinesburg. 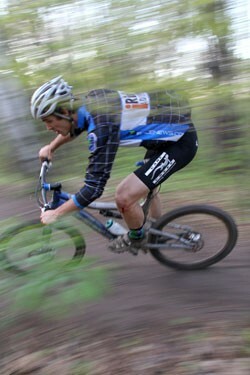 The latter is known for its more technical trails, but forthcoming additions will benefit beginning riders, too. The club’s other priorities this season include building relationships with landowners, making trails even more sustainable, and training trail users to come and go quietly — and slowly — through the neighborhoods that host the networks. And FOTW’s calendar is filled with a number of trail days, most of which wrap up with a group ride and cold drinks. Photos by Brian Mohr and Emily Johnson/EmberPhoto. For more info about Fellowship of the Wheel, visit fotwheel.org. Brian Mohr can be contacted via emberphoto.com.